If you have ever dreamed of keeping honey bees or you simply find them fascinating, then this class is for you. 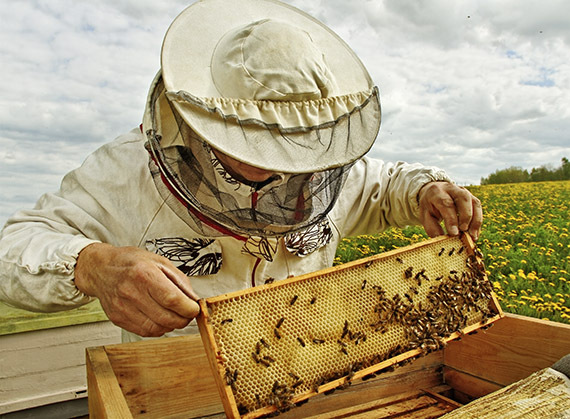 We will explore the biology and management of a backyard hive and see an active honey bee hive. Additionally we’ll learn about an interesting, low-cost approach to keeping backyard bees and where to obtain honey bees, equipment and advice. Instructor: Award-winning Museum educator Bob Alderink. Children under 16 must be accompanied by an adult. Pre-registration required. Workshop Fee: $10 per person, $5 Friends of the Museum and DNCR employees. For more information, contact kari.wouk@naturalsciences.org or call 919.707.9879. Links to reserve your space will be available this summer, so please check back!